In order to capture the EU data protection standards, Mageplaza has released a new extension for this standard. That’s the GDPR module. 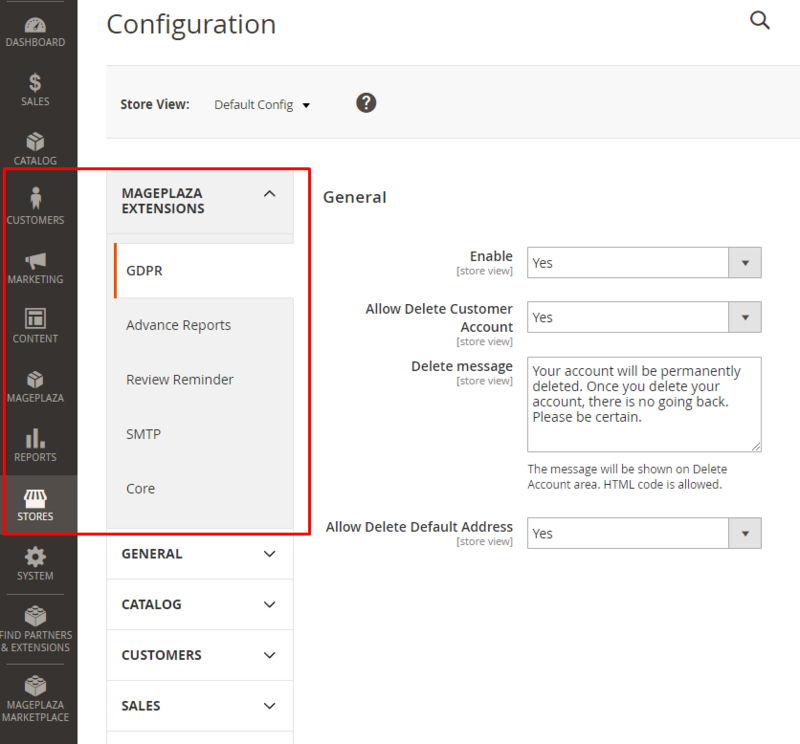 Magento 2 GDPR module will assist you to delete customer data permanently, to ensure your GDPR regulation compliance. In the Allow Delete Default Address field: Choose “Yes” to allow customers to delete their default address. When customers want to remove their account, they need to enter the password correctly to delete the account successfully. 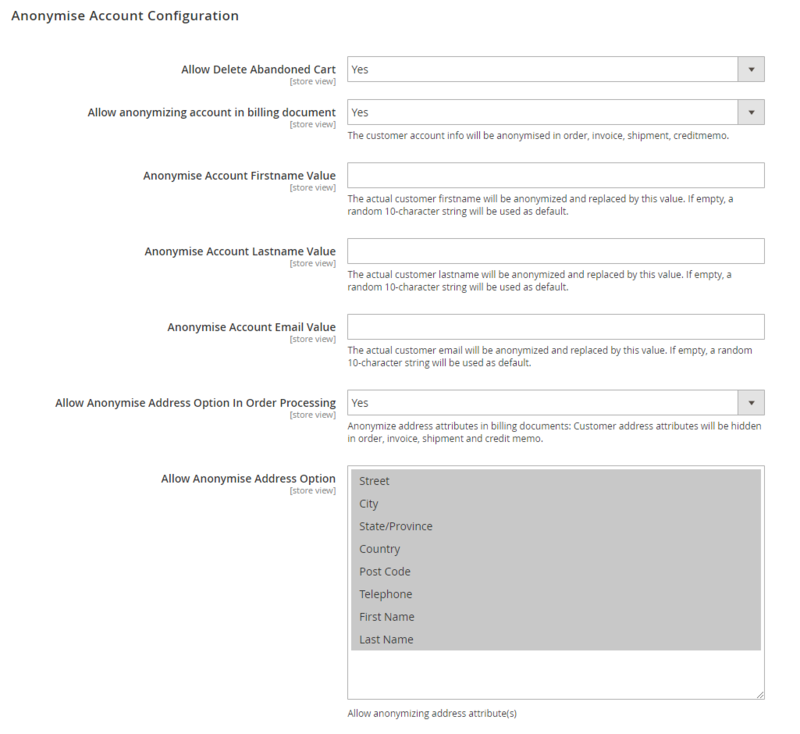 In the Show Customer Register Term and Condition: Select Yes to show the Term and Condition when customers create a new account. 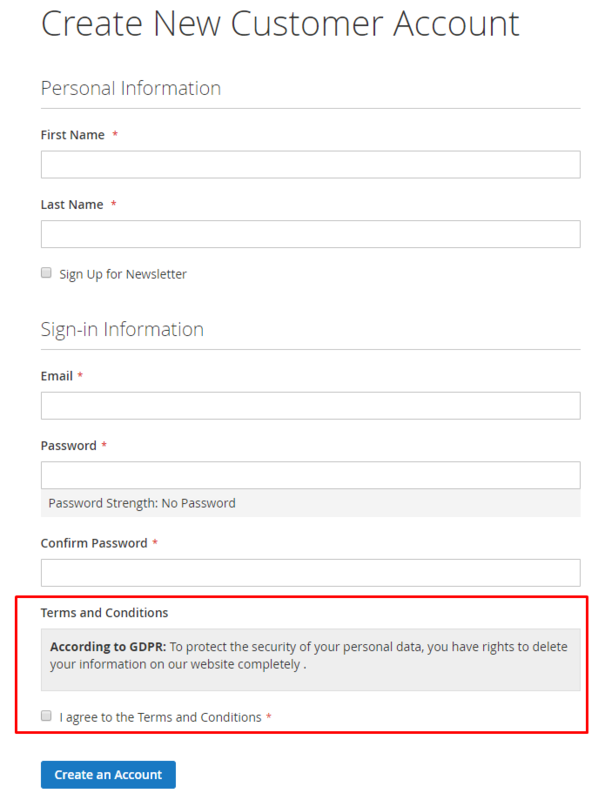 In the GDPR Checkbox Title field: Enter the title that is displayed in the checkbox in the Term and Condition section. 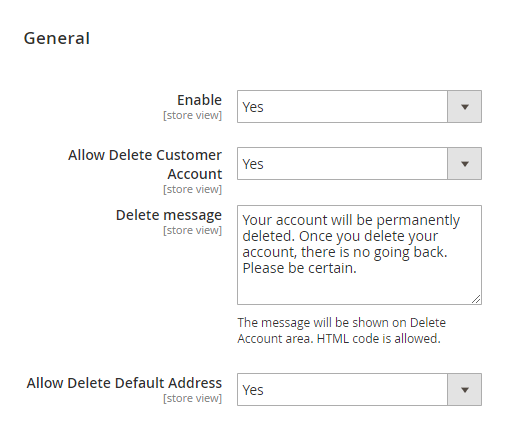 In the Allow Delete Abandoned Cart field: Choose “Yes” to delete abandoned cart when customers delete their accounts. Choose “Yes” to anonymize Billing Address, Shipping Address of the customer after he deletes his account. Anonymized information will be encrypted and displayed as a random character string. Enter Firstname value that you want to replace it with the customer’s Firstname value. If you leave the field blank, Firstname will be encrypted and displayed as a string of 10 random characters. 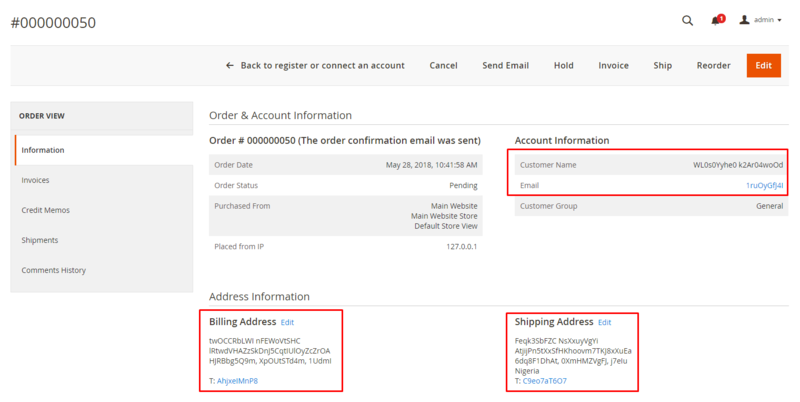 Firstname value will be displayed in orders, invoices, shipments and credit memos. Enter Lastname value that you want to replace it with the customer’s Lastname value. If you leave the field blank, Lastname will be encrypted and displayed as a string of 10 random characters. Lastname value will be displayed in orders, invoices, shipments and credit memos. Enter Email value that you want to replace it with the customer’s Email value. If you leave the field blank, Email will be encrypted and displayed as a string of 10 random characters. Email value will be displayed in orders, invoices, shipments and credit memos. Choose “Yes” to anonymize information in billing, shipping address. You can choose to hide one or more information from the address optionally. Anonymized information will be encrypted as a random character string. 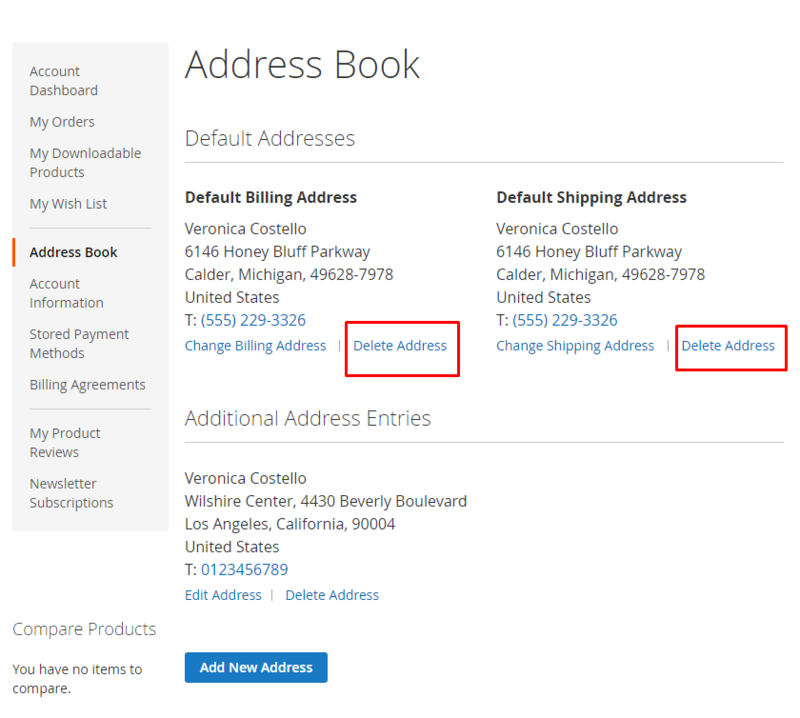 Allow hiding one or more information in the address field. The selected information will be hidden when the customers delete the account. The information will be hidden in the order when customers remove their account. In the Enable Cookie Restriction Mode field: Choose “Yes” to restrict the cookie using of Magento 2. 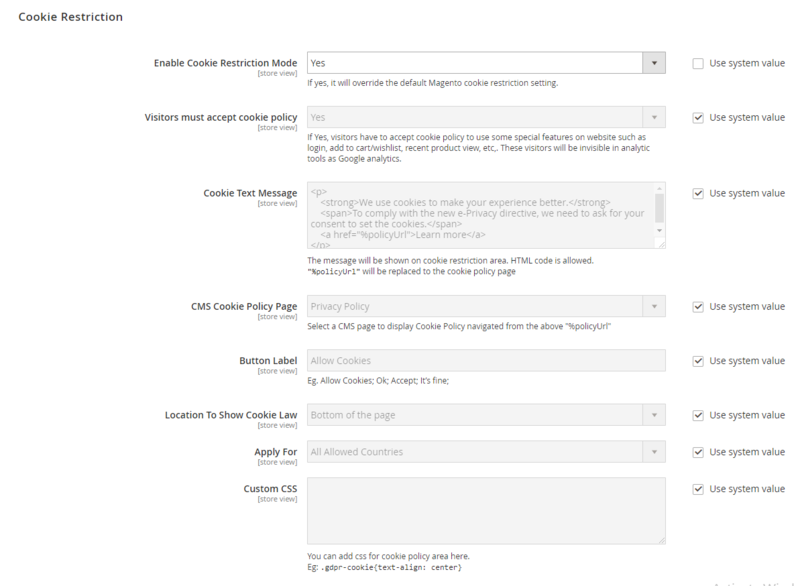 Customers need to confirm their consent in cookie using policies to be able to sign in, or add the product to their Wishlist. Enter the content of the suggest message to let them consider whether or not to allow cookies using. 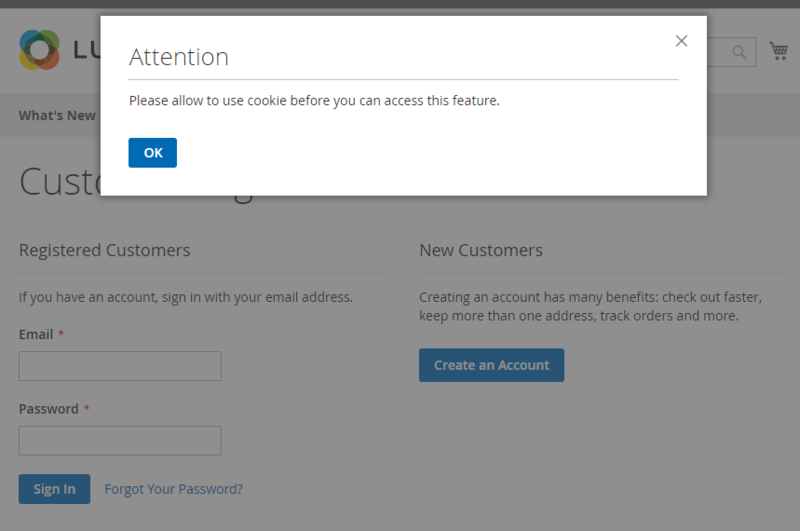 In the Custom CSS field: You can freely customize the cookie displaying. Choose Yes to send the email confirmation when customers remove the account. 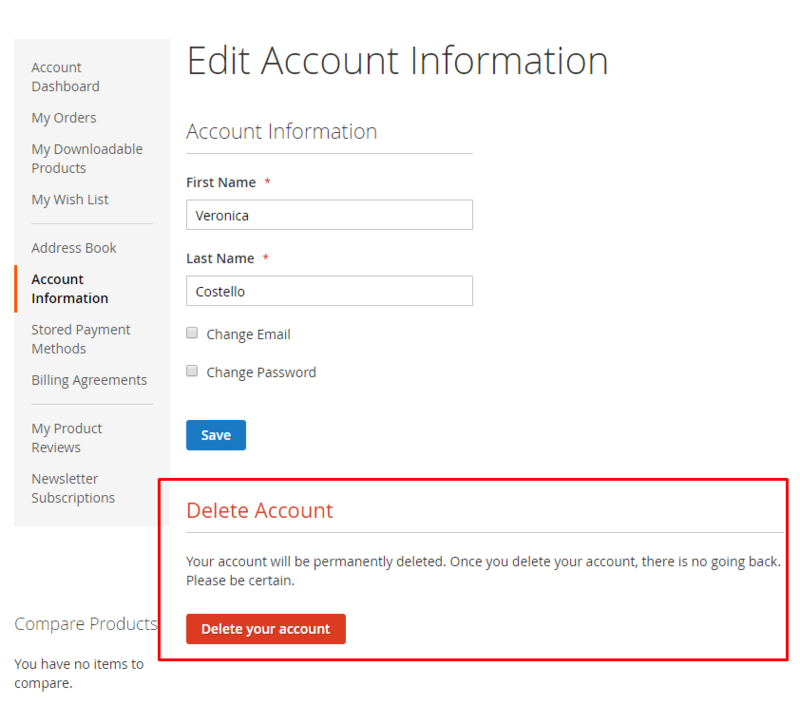 Customers only need to click to the link in their email and login to verify that deleting the account is completed. Allow choosing the confirmation email template to send to the customers. Ability to design or add a new template by going to Marketing > Email Templates. In the Sender Email field: Allow choosing the email sender.